Voiceover narratives are tricky. An over done plot device, the non – diegetic style works best while telling the story so vast – reaching , there would be holes in the script without it(recent Netflix show Narcos is an example). In some cases, voiceovers aid the script better than its others – lines infuse humor in a tense situation for instance, or help understand the psychology of character/s better, or let audiences keep track of several layers that may be uncovering together. In Mr Robot, created by Sam Esmail, the lead character’s voiceovers are a work of genius. It’s also a smart choice, given the protagonist’s fragile mental health; an untrustworthy narrator ensures twist in the plot that both the character and audiences don’t see coming (not unlike Edward Norton’s background character in Fight Club). What’s special here is Esmail’s ability to keep the style consistent across the ten episodes – long season without it weighing the screenplay down at any point. As an added bonus, we get actor Rami Malek, Embodying the character in a manner that makes it impossible to imagine anybody else in the same role. Malek’s gaunt face, large eyes, slacking gait and drawling voice keeps Elliot rooted in spite of the show’s several flights of fancy, and it’s hard to ignore Malek’s presence even for a second. 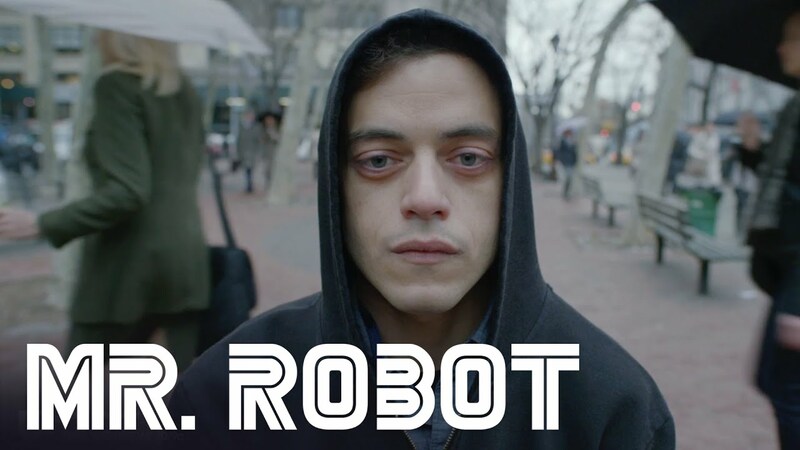 The perfect actor helps Esmail build Mr Robot’s world a lot more authentically than a plot about a computer hacker going up against the world’s biggest corporation would allow. It’s almost like the writer and actor fuel each other’s respective crafts, in the manner I felt Vince Gilligan and Bryan Cranston did on Breaking Bad. Esmail writes splendid lines (“we’re all living in each other’s paranoia”), keeping them ruminative without allowing them to sound alienating, witty without the constant need to be funny, and ominous without exuding a sense of horror. Esmail has said in interviews the basic idea was intended to be turned into a feature film. He doesn’t seem to have chosen between mediums, making Mr Robot more cinematic than some spectacular big screen outings. Esmail has a David Fincher – like quality, and while the latter brought a lot of his filmmaking finesse to a show like House of Cards initially, Esmail’s series feels more accomplished. Incidentally, Danish director Niels Arden Oplev (who made the first , and in my opinion better, adaptation of The Girl With The Dragon Tattoo) acts as executive producer and director on the pilot, bringing in sensibilities you associate with the best Scandinavian films and TV shows, which is steadfastly maintained in the rest of the season. The sound design and cinematography don’t just create wonderful atmosphere, but elevate storytelling too. Mr Robot is a step ahead for an ever – improving and increasingly experimental American TV industry, and a departure for USA Network, the channel broadcasting the show. We’ve seen traditional networks like NBC taking a gamble with shows like Hannibal, which was cancelled after three pretty good seasons due to low ratings (streaming services remain the only hope for the Bryan Fuller series now). Mr Robot’s wider appeal and contemporary theme could ensure a longer run, provided it remains as unwavering in future seasons. But like Elliot in the show, Esmail seems to have ‘got a plan in motion’.